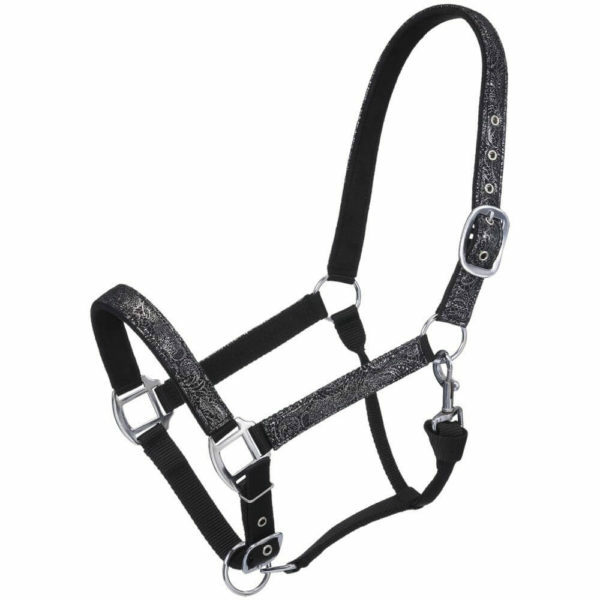 Top Quality Leather Halter with ergonomic crown. 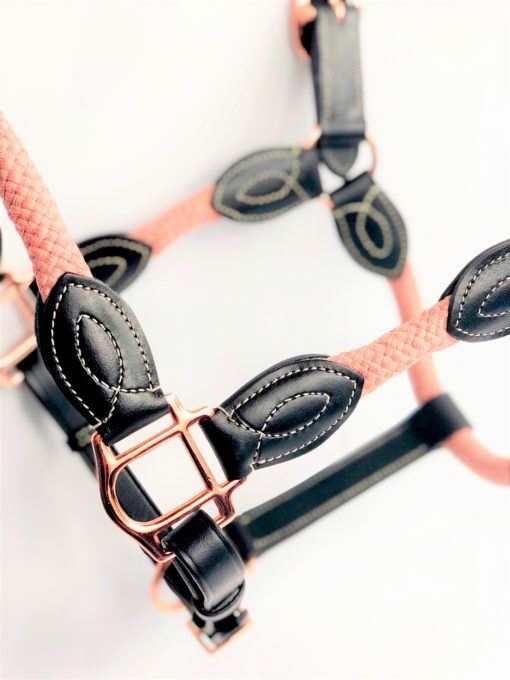 All the beauty of leather combined with an elegant rope halter brings fashion, function, and form into one anatomic halter. 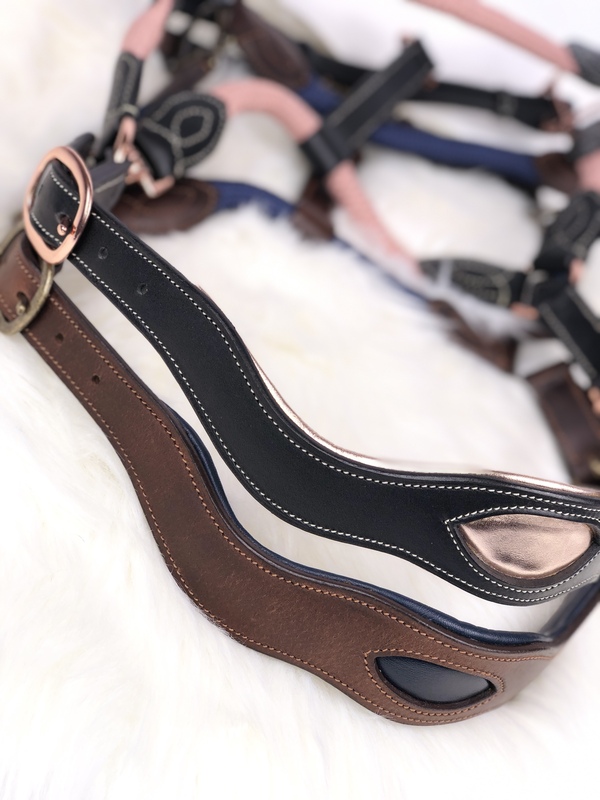 Carefully crafted crown with an anatomic shaped cut back behind the ear and pressure relief cut out, this halter is designed to help provide pressure where you need it and not pressure where you don’t. 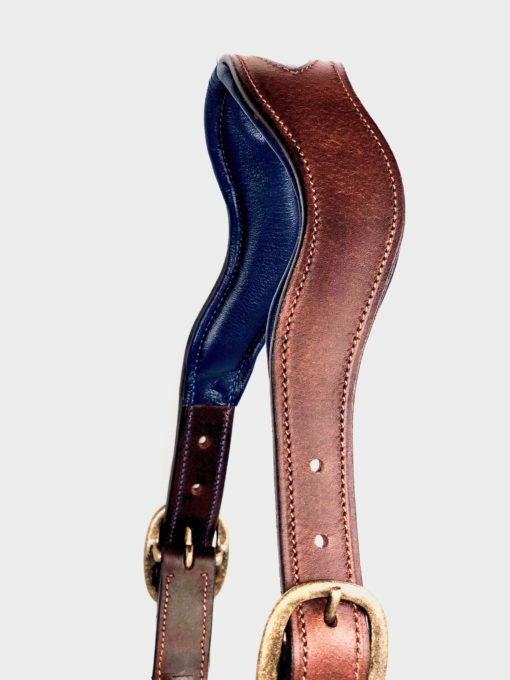 Made out of a top quality leather that is meant to stand the test of time. 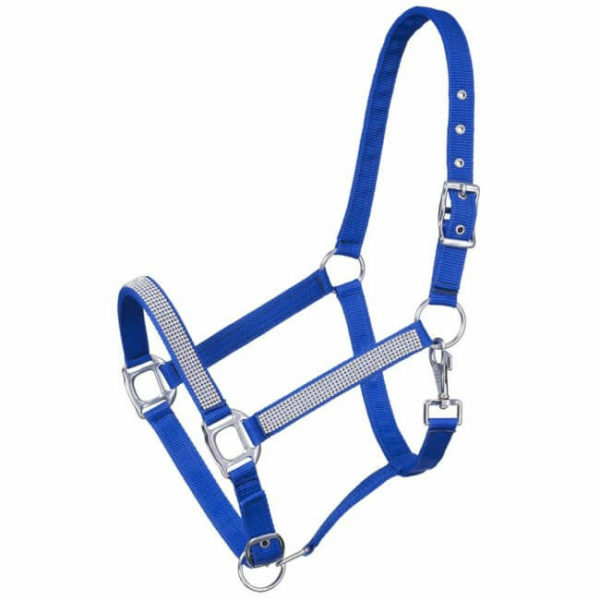 A simply gorgeous halter perfect for daily training, shows, and more. Care: Rope may be wiped with a damp cloth. 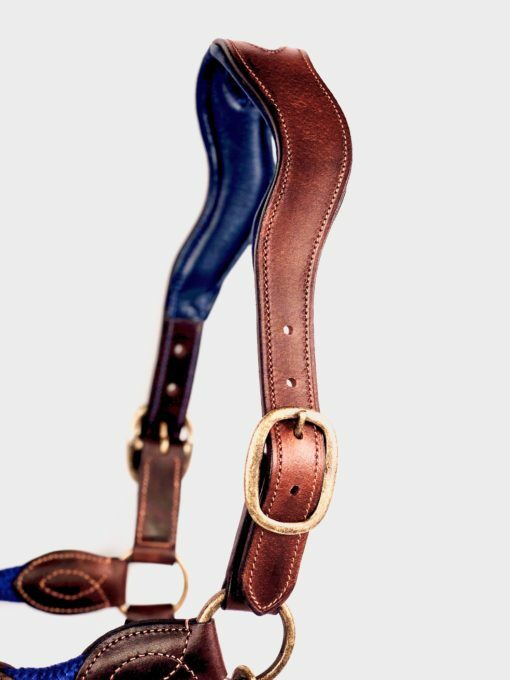 Leather should be cared for with top quality products. We highly recommend Carr Day Martin products and Belvoir Conditioner. Please avoid excessive saturation as that is not good for any leather. Be Well Turned Out is their hallmark slogan of this impeccably fashion forward line. 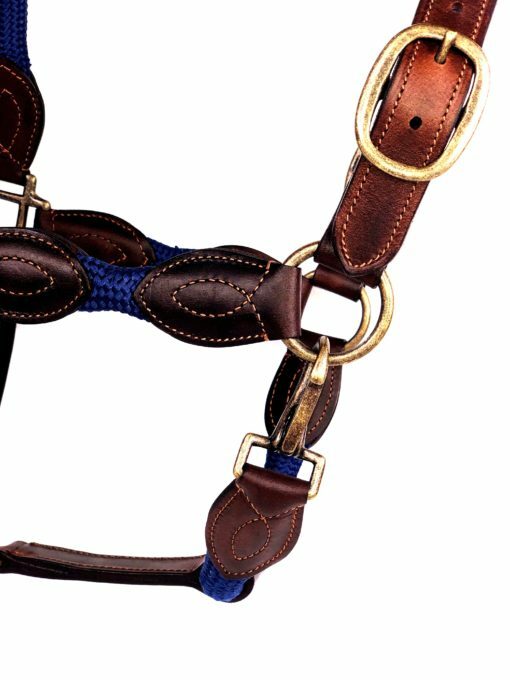 Unique well designed items developed and designed by equestrians for equestrians. Quality workmanship, and elegant pieces make this a fun and adventurous brand. 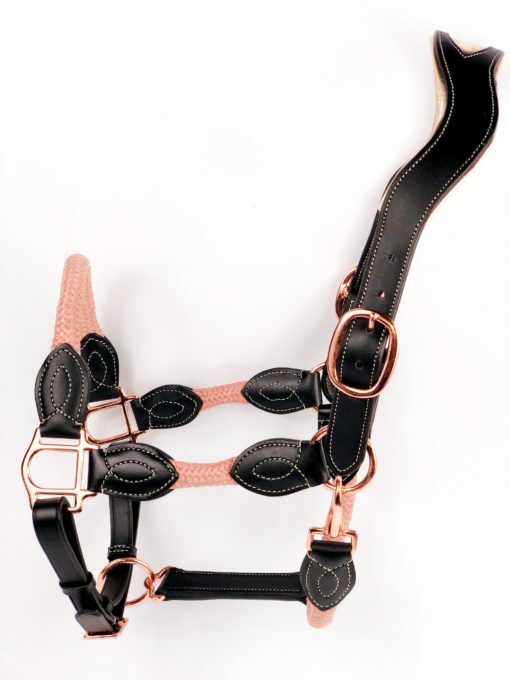 Love this halter! I splurged and got both colors and was shocked at how much I love the brown. Photos do not do it justice. Leather is of quality but stiffer on the black one than on the brown. Brown leather is very flexible and soft. Black is stiffer and will take longer to break in but it appears like they weather coated it which is a big plus. Leather quality is on par with English leather (smooth on the back of the hide) and thick like it too. Everything is double leather and dual stitched. If you can’t tell I am really picky about leather and these are quality. This halter is easily in the $100 range for quality so a friggin steal at this price. This is my third Ritzy product purchase and very impressed with their products so far. Added touch they come with a little key chain. Very cute. Leave it to TCR to always find amazing brands. Oh Amber, you seriously are the sweetest. We love that you put so much thought and attention in to your review. Yes, the black does have a protective coating on it. 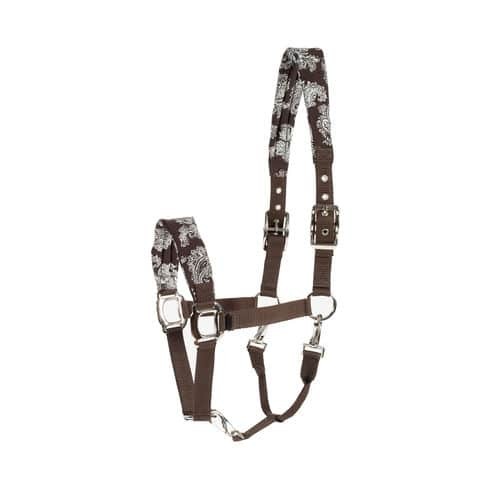 This will make it feel a bit stiffer at first but will break in softly without cracking. The brown is meant to be a “distressed” type leather hence no coating and should be soft out of the box. So glad you love them. Saw this on their FB page and had to have it. It did not disappoint! 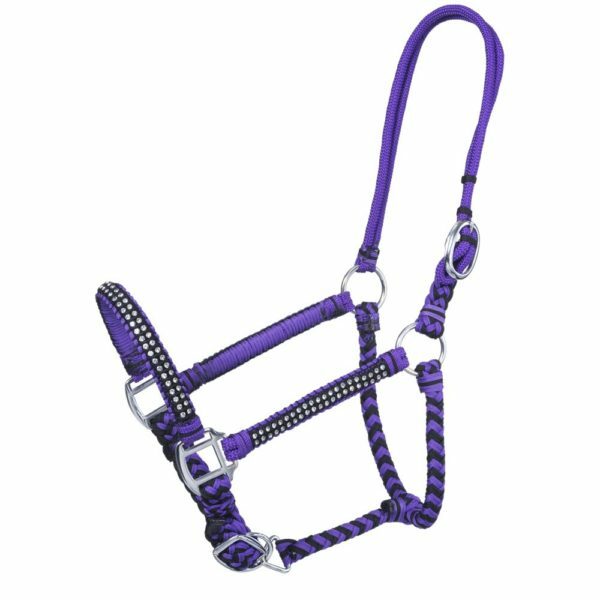 I am not one to write reviews but I feel like I got so much nicer of a halter than what I paid. This thing is seriously sturdy and the leather is thick. This reminds me of old german style leather that was thick and strong but pliable. Highly recommend. Got the rose gold and def quality. This is not some cheap leather but real deal. Great find. This halter is stunning. It totally pops on my blood bay horse. The leather is incredible and I love the padded crown piece. My 16.2 TB wears the full size and it fits him perfectly. This is a must buy! Got both colors. Sizing is perfect, cob fits my arab and full fits my palomino mare. These are not oversized European sizes so if that helps anyone else shopping. Black is high end waxed leather, brown is a soft Italian soft leather. They are both very well made. I waited to post this until I had it a couple of weeks and happy to report it’s now my go to halter. 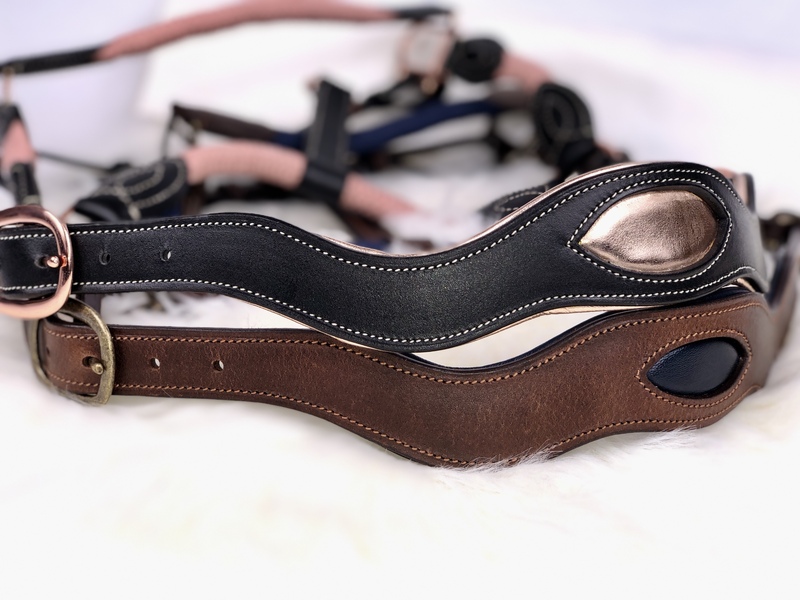 I purchased the brown and the leather is very pliable and soft. The crown is like it’s made for his head. Really nice, and very please with this purchase. 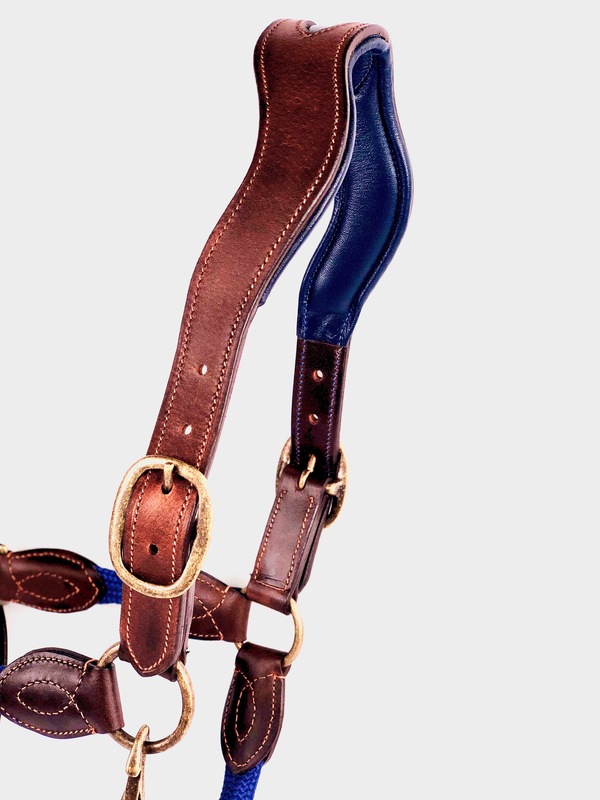 This halter is absolutely stunning. Not only very unique and beautiful, but also great quality! The rope is nice and soft with a bit of “squish”, and the leather is superior quality. However the black leather was a bit stiff due to the protective coating which should break in nicely. 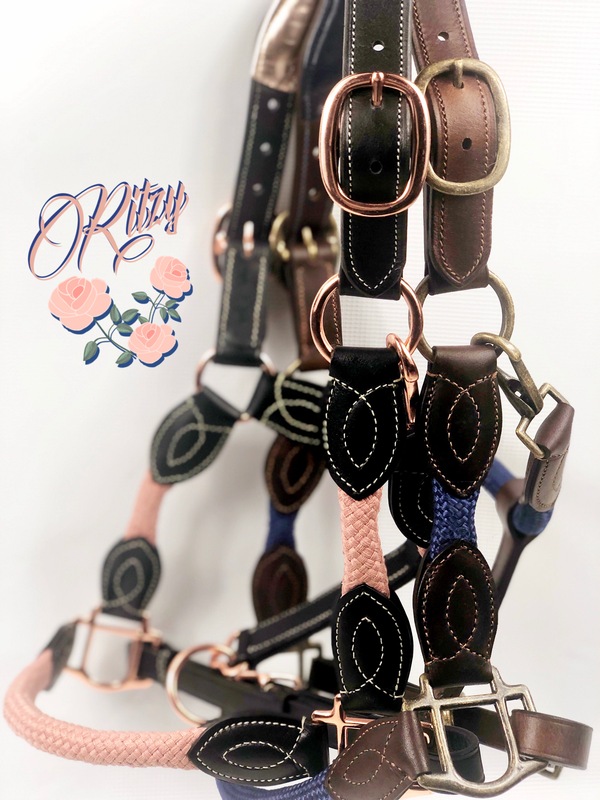 🙂 The rose gold metal pieces are amazing, and the rose gold padding is so shiny! 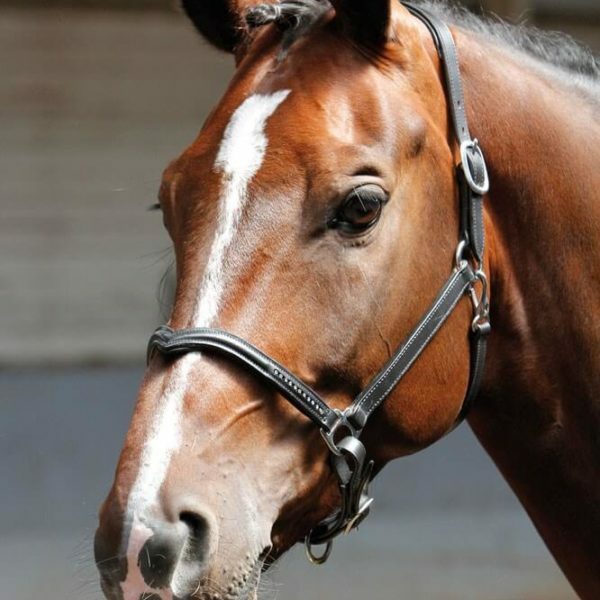 The crown piece also contours to the top of my horse’s head very nicely. 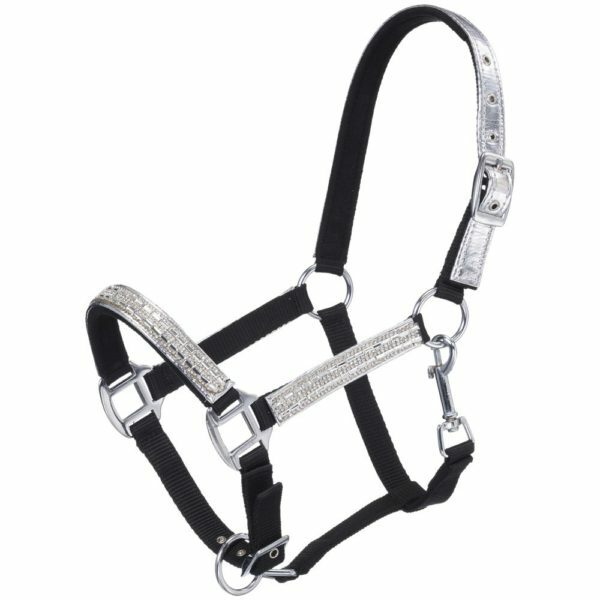 I didn’t realize how beneficial the curve is until I actually got the halter! Overall a great, well made product for a great price. 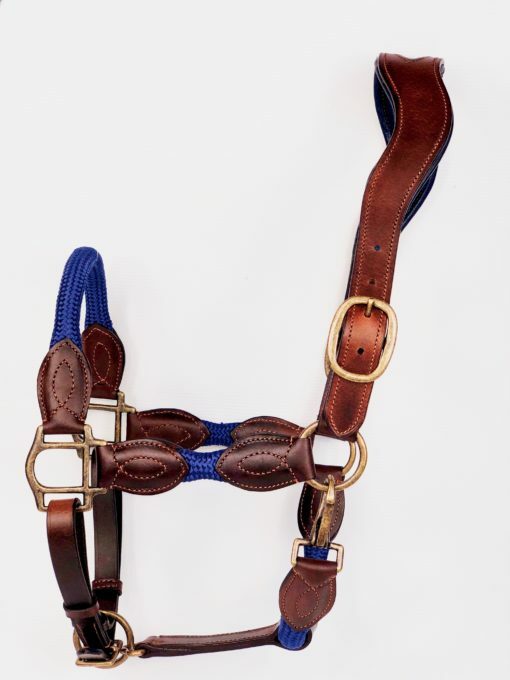 This halter is incredible. 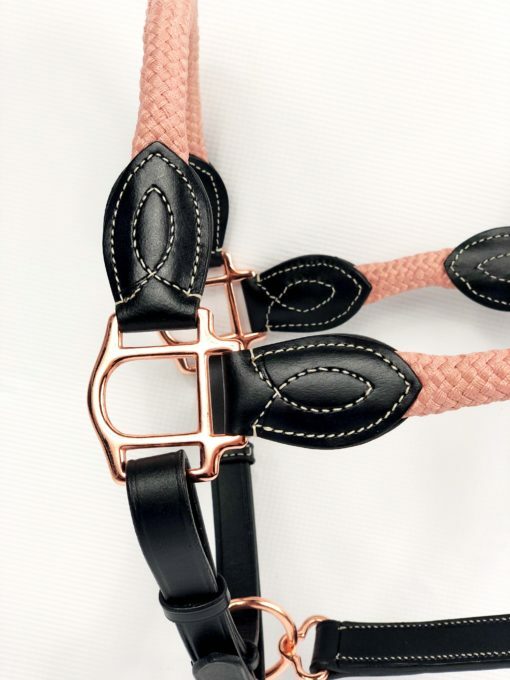 The rose gold is so pretty and it’s very well made. I have to say this head piece is a perfect fit, nice shape. Whoever made this really gets the way a horses head is shaped. Popped up in my Arabian group and wanted to drop a line as a vote of confidence for arabian owners: it fits. Lovely quality leather and the rope is super soft. 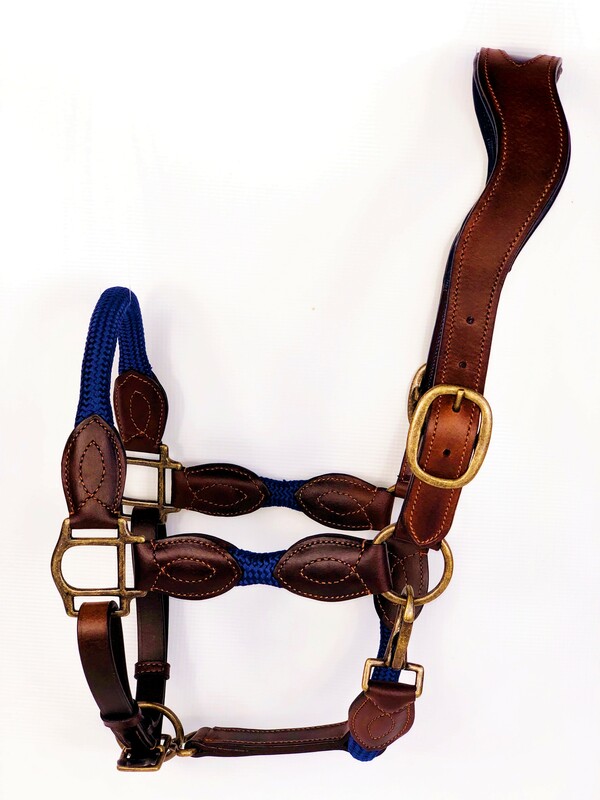 There is nothing aggressive about this halter but because of it’s fit I find it very precise in handling. 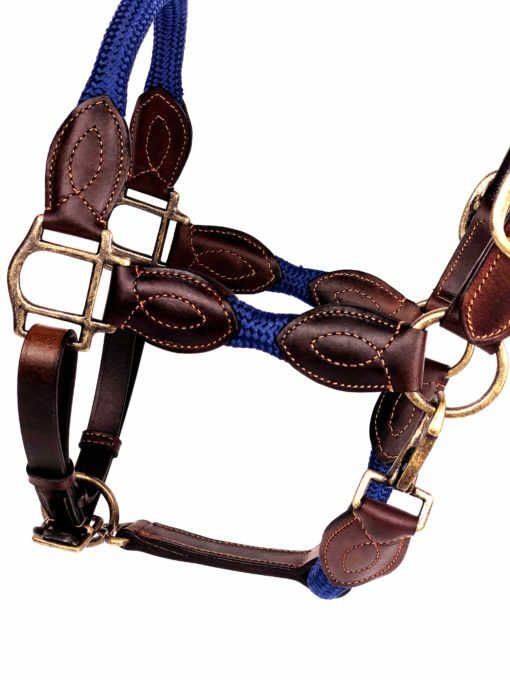 I know the lady that designed these and she has had arabians since she could walk and it shows in the fit.